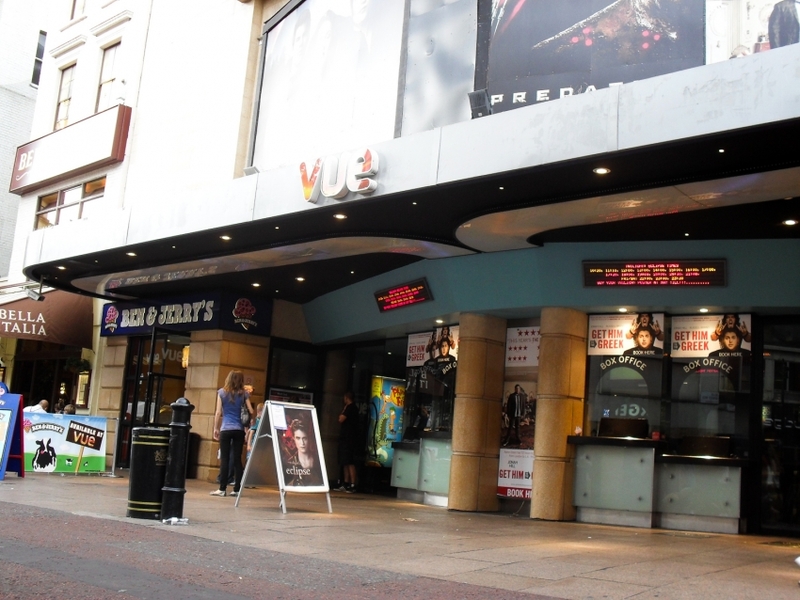 The Vue West End is the first cinema you will come across when you enter into Leicester Square from the tube station. Situated in the short pathway leading into the Square, this nine screen multiplex, on the outside, looks like a gem for cinemagoers. Be warned, for the horrors that lurk inside. 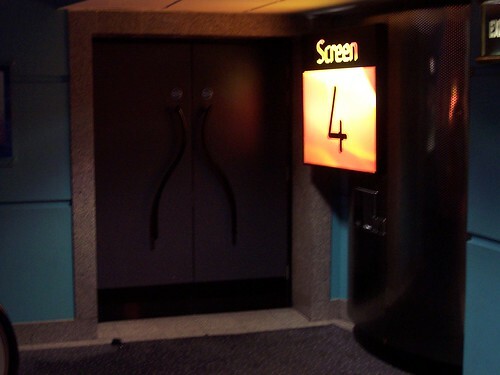 As part of the Vue cinema chain (I always remember it being owned by Warner Bros), it offers first run mainstream films, including 3D films along with the standard digital projection, dolby sound and raked seating (although not massively in some of the screens, so if you do get someone tall in front of you, good luck). It also now offers free WiFi that you have to register to use. For a West End cinema, in the heart of cinema land, this does come across like a more expensive local fleapit. Walking up to the front, you get an LED readout with times of showings which is usually either broken, or some of the lights are missing so you have to try and translate either the title or the times (they do have a poster with the listings at the side of the entrance but it’s not prominent enough). The box office has four windows at the front but these are very rarely open (only at peak times) so you can either purchase your very expensive tickets at the ticket machines (if you are paying by card) or at the confectionary, which is where the problems really begin. The staff are terrible. Slow, unhelpful and, some not all, rude. There is usually a long queue as the purchasing of both tickets and food are performed, usually by one or two people and they strangely always seem to be working on the same till, meaning that you either have to still wait in the same long line or wait for the other staff member to finish with his/her customer. On the day I went, I was served by a man who seemed completely disinterested and they had allocated seating (something that I found quite unusual for a weekday matinee). Without actually asking me what seat I wanted, he handed me a ticket that was in row C, near the front. I immediately said I didn’t want a front seat but he didn’t care. Telling him that I wanted to change my seat, he ignored me, and just disappeared. I asked his colleague if the manager was around. He looked blankly at me and after a minute of thinking about it, said no he was in a meeting. I then went to my screen. The screens are spread over four floors (one which has an enormous bar area that never seems open and when it does, has very limited stock of drinks). The mass of escalators leading up and down to the various floors is confusing enough but if you want to use the toilets, you have to either go up or go down to other floors (one in the basement, one in the middle). The toilets are usually a disgrace, with dirty floors, broken soap bottles and the stools are either uncleaned or the locks broken. Once inside the screens, the layout are hardly impressive. Unless you are in the main screens (5 or 7) the others are fairly small and most has the aisles in the centre of the cinema, so no matter where you sit, it’s at the side. The leg room in these screens are also limited and unlike other local Vue cinemas, where they have stadium seating and VIP seats, this one doesn’t. If they did, you would probably need to get a mortgage to sit in them. The standard price for an adult is £13.90 regardless of time of screening (no reductions for off peak). If you are using a “premiere screen” (my guess it’s the two I mentioned) it’s £14.95 (£14.05 off peak). Let’s not forget that if the film is in 3D you pay an extra £3.15 on top. For that money, I’d expect top quality service, a spotless cinema (which it usually isn’t so complaints about mice is often) and staff who care and not those who just look at you blankly when you have a complaint. This is a premiere West End cinema. It is used for film premieres with stars from around the world. Personally, I think it needs a complete overhaul, new seats, new screens, new layouts, more toilets and better trained staff. As a cinema in London’s heart, it’s a disgrace. 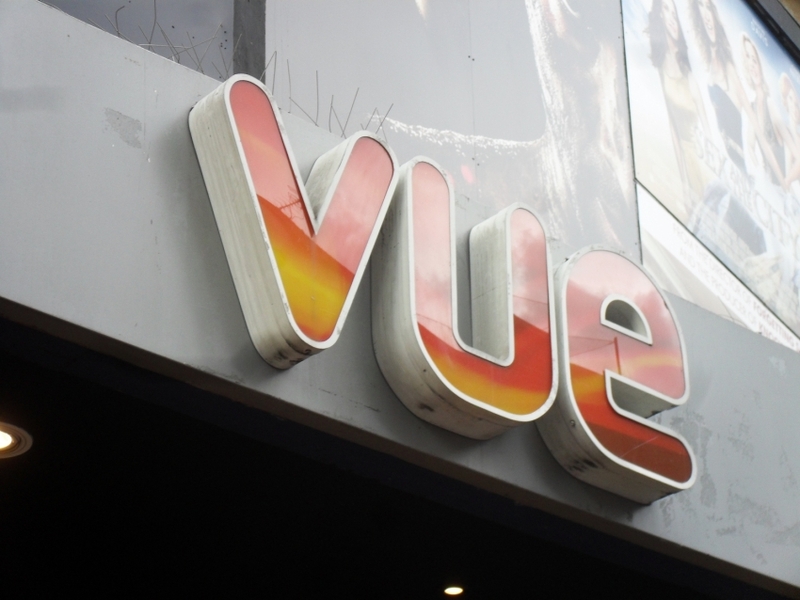 Even compared to other Vue cinemas, it’s a total mess.